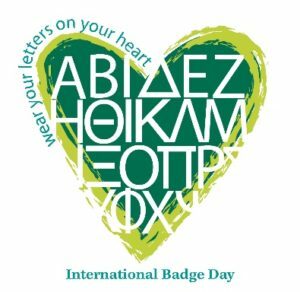 International Badge Day is a fitting time to look at one of the most mysterious topics in sorority history: groups that have disappeared. At its largest membership in 1957, NPC had 32 members It is good to know that in over a half century our numbers have remained relatively strong as there are now 26 NPC sororities. Curiosity led me to seek out the missing 6 NPC sororities, but I was surprised to find that there were more than 6 missing organizations. With internet research I was able to document 10 groups that were once part of the Panhellenic Circle of friendship but no longer exist. My original research was included in our May 2010 newsletter. I recently found a website called Fraternity History and More which confirmed that in addition to the 10 groups previously documented there were another 2 associate NPC members that we need to remember. All but one of these groups merged with another NPC sorority so they are still a part of us. Have you heard of any of these groups before? Alpha Delta Theta joined NPC in 1926. Merged with Phi Mu in 1939. Hazel Falconer Benninghoven served as national president for both organizations. Beta Phi Alpha joined NPC in 1923 and merged with Delta Zeta in 1941. BFA’s “Convention Lights” is still sung at the close of Delta Zeta conventions. Beta Sigma Omicron joined NPC in 1933 and merged with Zeta Tau Alpha in 1964. Three chapters on campuses with Zetas became Alpha Phi. Their motto was “We live to do Good” and their colors were ruby and pink. Iota Alpha Pi was a Jewish sorority that joined NPC as an associate in 1953 and a full member in 1957. In 1971 they chose to disband rather than merge with another group, the only occasion where this has occurred. Alumnae continued to meet despite lack of a national organization and they have a Facebook page. Lambda Omega became an associate member of NPC in 1930 and in 1933 merged with Theta Upsilon which merged with Delta Zeta in 1962. Phi Omega Pi became an NPC member in 1933. They disbanded in1946 with chapters being taken over by a variety of sororities. Delta Zeta absorbed the alumnae and remaining collegiate chapters. Pi Kappa Sigma was an AES sorority that joined NPC in 1947 and merged with Sigma Kappa in 1959. It was the first education sorority established as a greek letter organization in 1897. Theta Upsilon joined NPC in 1928 and merged with Delta Zeta in 1962. Their original ritual was based on Native American themes and their motto was “let there be light”. Theta Sigma Upsilon was an AES that joined NPC as an associate in 1947 and a full member in 1951.They merged with Alpha Gamma Delta in 1959. Their motto was “The Higher good” and their colors were silver and rose. Pi Sigma Gamma was sponsored by NPC in 1930 but ended up affiliating with Beta Sigma Omicron. Sigma Phi Beta became an associate member in 1928. In 1933 they merged with Phi Omega Pi.